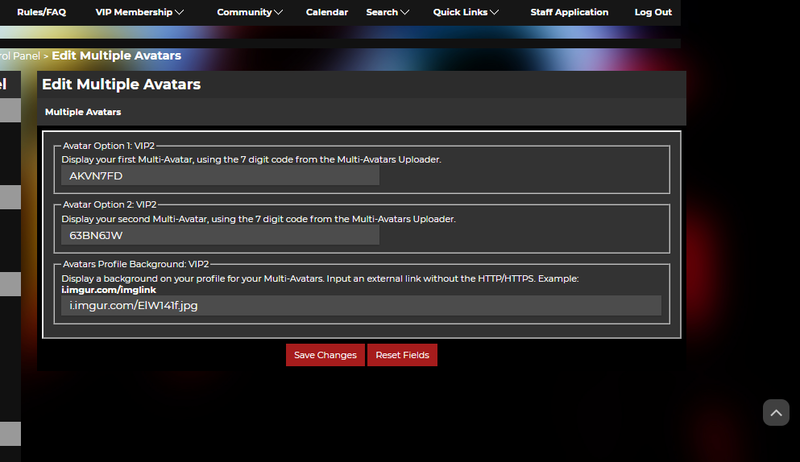 ⚡ RangerBoard > Administration > Announcements > New Feature: Multi-Avatars now LIVE for VIP2s! New Feature: Multi-Avatars now LIVE for VIP2s! Step 1: In the User CP, launch "Multi-Avatars Uploader". 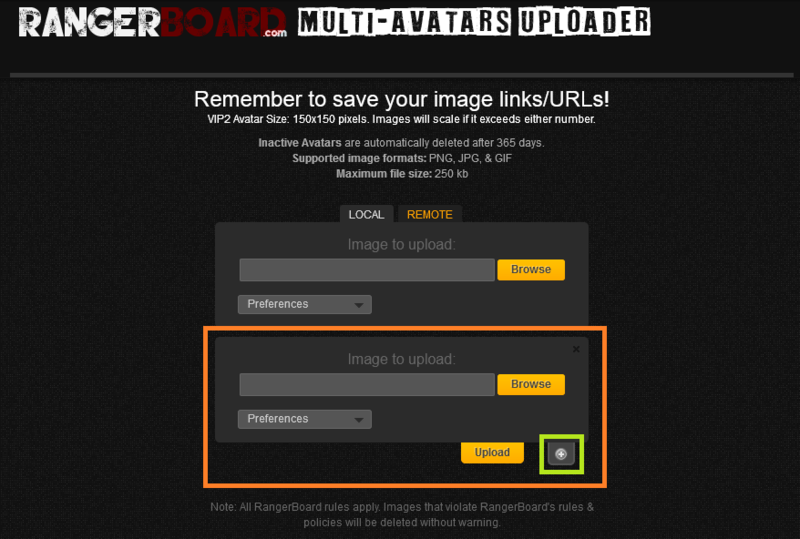 Step 2: In RangerBoard - Multi-Avatars Uploader, upload your Avatar(s). Clicking on the Plus (+) button, will allow you to upload multiple Avatar images at once. - Images are currently set to auto-delete every 1 year after the image has not been viewed by anyone. - Avatar size restrictions are in place. 150x200 for staff, and 150x150 for VIP2. If VIP2 attempts to upload over 150, it will allow it. However, the display code will scale it down. Upload with the exact size to avoid scaling distortion. - File size limit is about 250kb - if that is not enough, please reach out to us with the image you're trying to upload so we can review and make adjustments. Step 3: Grab the code at the end of the Link/URL. The 7 digit code is all that you will need. Step 4: Input code into Avatar Options 1 & 2. The background will have to be an external image from sources such as Imgur. There's no size restriction on the background. - More options are being planned for future VIP upgrades, such as VIP3. VIP2 will only get 2 at the moment. - Inputting anything that isn't the code will not work. 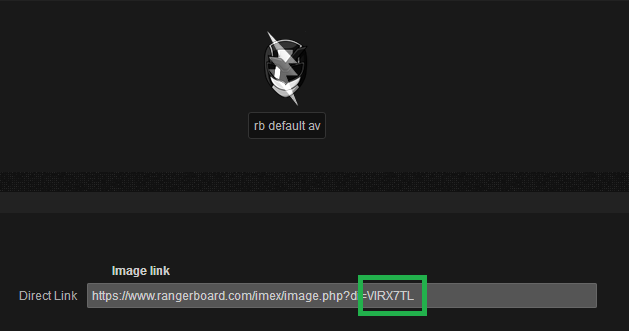 The Multi-Avatar system will attach the code to a RangerBoard link. 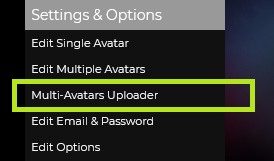 Adding anything else will cause the default Avatar instead to load. - Images on Avatar Background must leave out the HTTP:// & HTTPS:// portions of the code. The prefix "HTTPS://" is coded in ahead to force all images to work from HTTPS sources. Avatars will load at random on your posts. Please feel free to ask questions. Please ask questions or seek support here. As for VIP3, that's not coming right away, as VIP3 needs to be completely prepared from scratch, with additional features. So upgraded Multi-Avatars access for VIP3 is being planned ahead. It's coming soon . Well, it seems I am a bit stupid. I didn't read the instructions properly, and didn't save the url's. Instead, I had the "Edit multiple avatars" page open, while uploading pics, and just copied the code across. However when I pressed "save changes", I got re-directed to a blank page which had "/profile" something in the url. 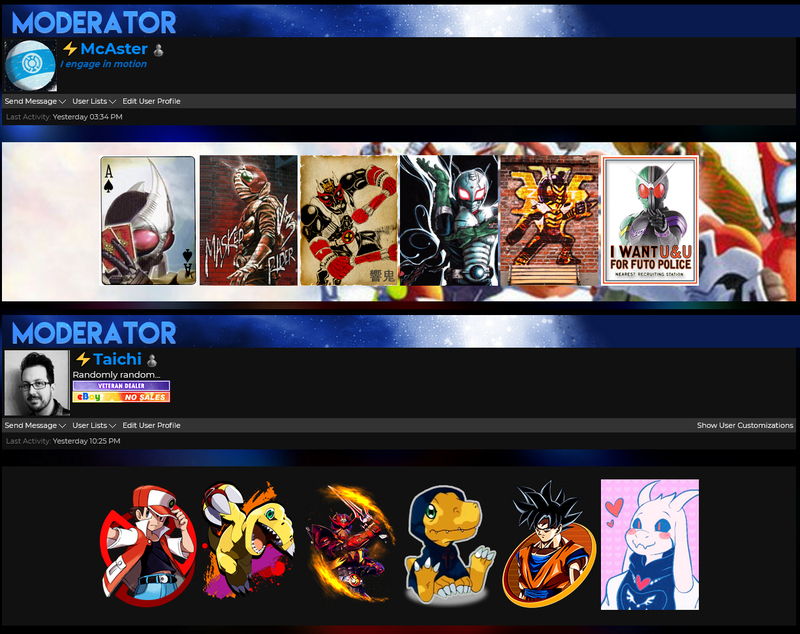 Now when I look at my profile page, it seems like nothing has changed. Can this be fixed, or would I have to wait a year for the images to auto-delete? I can see all images uploaded, I know which two you added. I'll grab the codes manually and put them in for you. Thank you very much Decade. You're all set. You can still put in a background. Hmm, it doesn't seem to have worked. I got re-directed to the RangerBoard.com/profile.php page again which was blank. I tried twice. And the image doesn't seem to be on my profile page. I'll add that in for you, but it looks like that page is bugged. I'll have to work it out tomorrow. It is, and it looks amazing. I'd send you money, but I haven't got any. I offer you Peter's money? I followed the directions and nada? You forgot to check off "Enable" to turn it on, and remove the "HTTPS" from the background URL. ...but there is no Enable on the screen? I don't see it on any of the options? Fixed, didn't notice it was bugged as well. Ooh, the profile backdrop is going to be my favorite part. Yeah, I decided to try that on the fly. After adding them to display on the profile, it looked so boring the grey backdrop. Simply it's just staff applying the Multi-Avatars & profile background image for VIP users. For those that's finding this process challenging.